I really like the silhouette of this bird...against the dawn sky, he's so lovely! 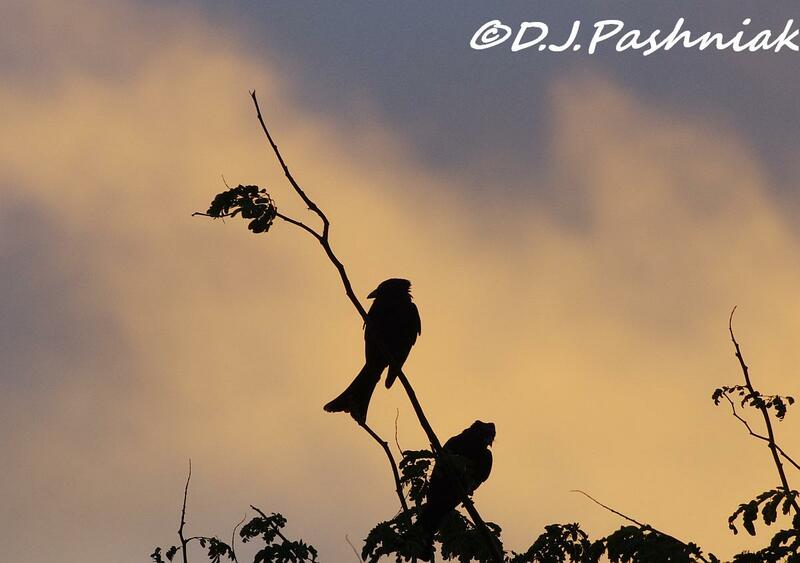 Noisy chatterers silhouetted against the dawn hues ... Super. Impressive shots!! Boom & Gary of the Vermilon River, Canada. I think they are so beautiful, birds against that lovely colour! I kind of like silhouettes too! Thanks for your kind comment, Mick! Wonderful silhouette shots! The colorful sky is gorgeous! Happy Birding! 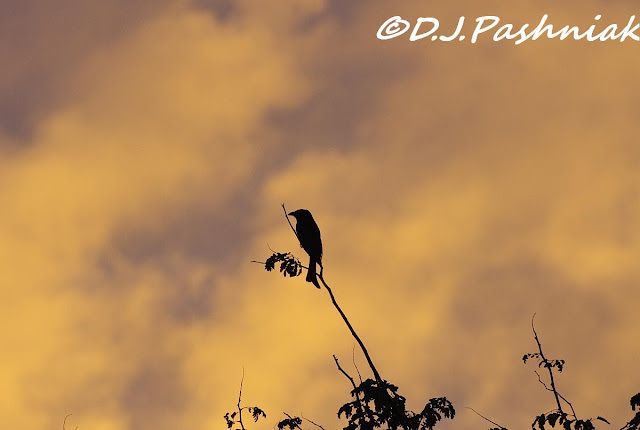 Great shots of drongo against the sky. Lovely silhouettes Mick. I remember seeing drongos in India with the same shaped tails but I guess those were different species. Nice pictures - good to see a bird shot that is a little different to a field guide! Fairy Wrens are just bundles of pure movement. Enjoyed this. 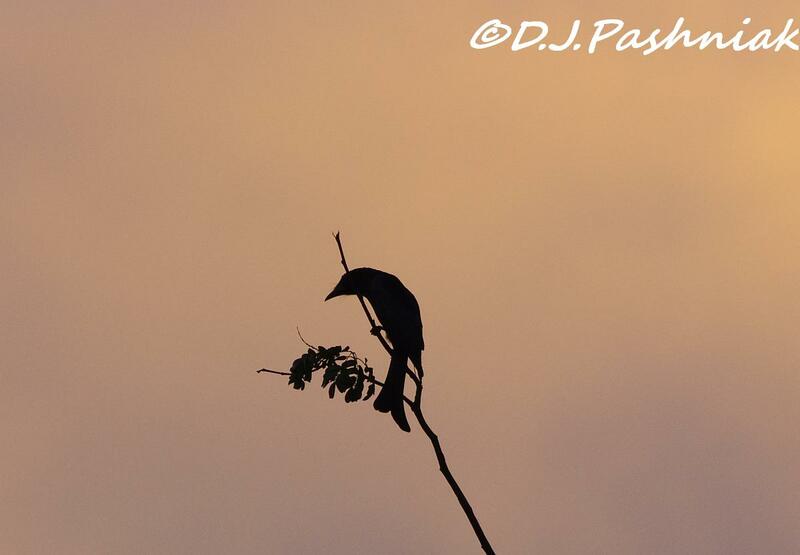 Whenever I get a chance to photograph Spangled drongos I'm always trying to do the tail justice! Well done! What a wonderful way to start the day Mick. I'm a sunrise freak as well and love it when the birds start their morning concert. Very beautiful compositions. I'm guilty of focusing all the attention on the bird and forgetting its lovely surroundings. Lovely silhouettes! I love the early morning hours! Honestly I absolutely love the name of that bird! Sounds like something out of an Edward Lear poem. He's quite impressive in that beautiful light too. ...these images are stunning. And serene. Mick, wonderful images! And without leaving the house!